If you have a passion for photography then you’ve come to the right place. 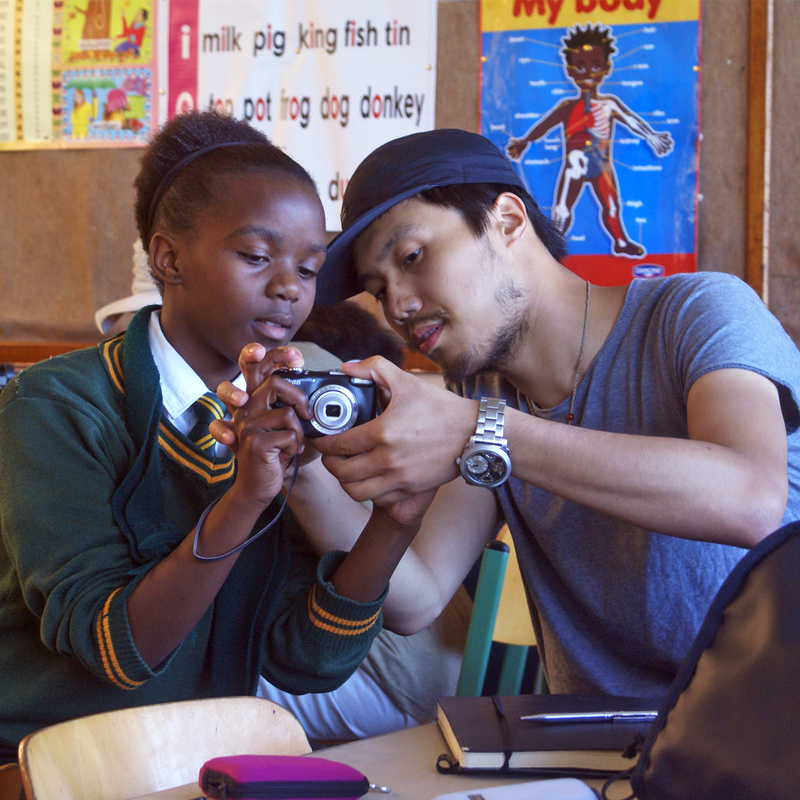 We need volunteers just like you to help us teach children across the world the art of photography. It doesn’t matter if you’ve never taught before, we’ll give you lesson plans which you can make your own to inspire the kids you teach. Airport transfers and all transport to and from the schools will be provided along with all your meals, accommodation and 24hr support. In Port Elizabeth you will be staying with other gap year students from all over the world working on various teaching programs, there is a swimming pool, gardens, games rooms, and even a bar! In the Congo you will be staying in the home of the headmistress, they will provide food and lodging for your stay, if you are looking for a real experience of rural Africa this is definitely the place for you! You will be teaching a group of 4-5 pupils aged between 10-15 years of age and there will be 2-3 sessions per day across a number of schools. The lesson plans are open to interpretation and should you wish to, you will also have the opportunity to teach a lesson of your choice. Throughout the programme you could be working with polaroids, digital photography or black and white film. 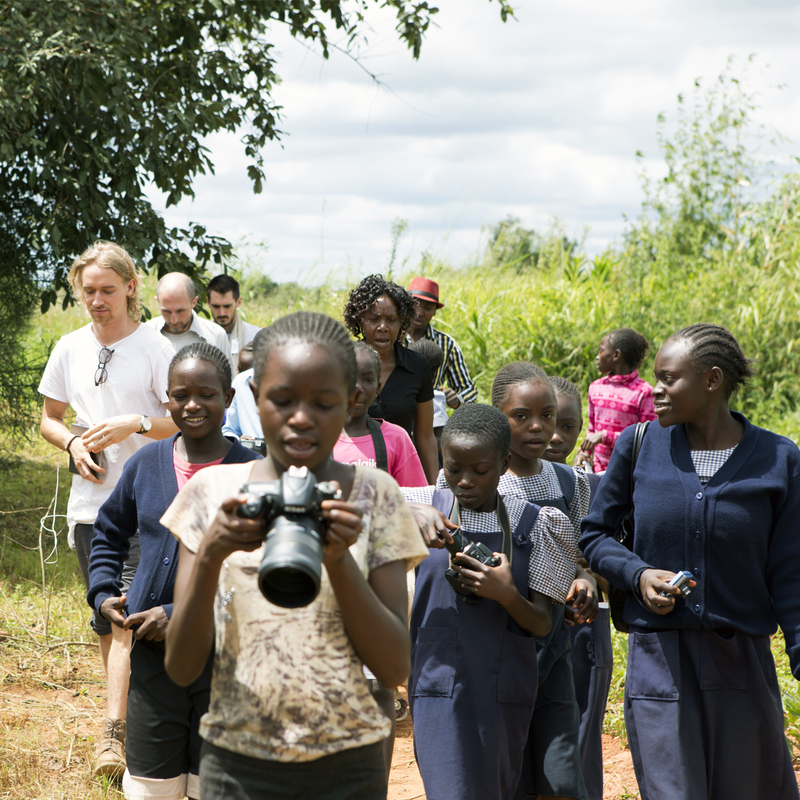 Lessons will cover some of these areas; basic film camera operations, basic digital camera operations, black and white film development, film scanning, editing photos into a story, how light works and how to use it, working with nature, working with people and working with action. WHAT CAN YOU DO ON THE TRIPS? All locations have the opportunity to explore and create incredible memories, with safari’s on your back door, bungee jumps round the corner and beautiful scenery everywhere, there’ll be no end of exciting activities to get involved with. 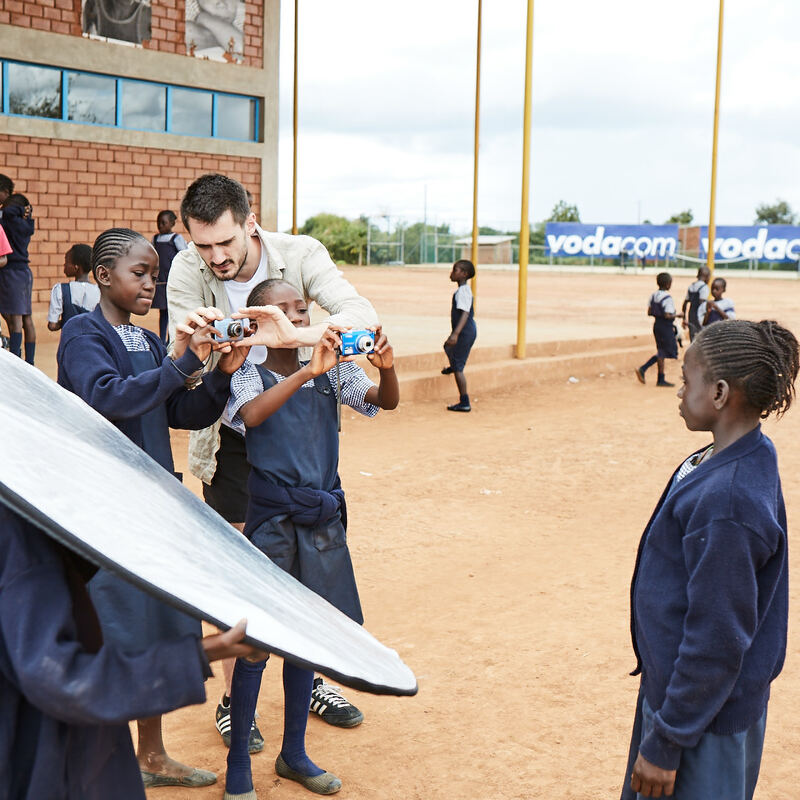 All equipment and teaching tools are provided but you’ll be sure to want your own camera! 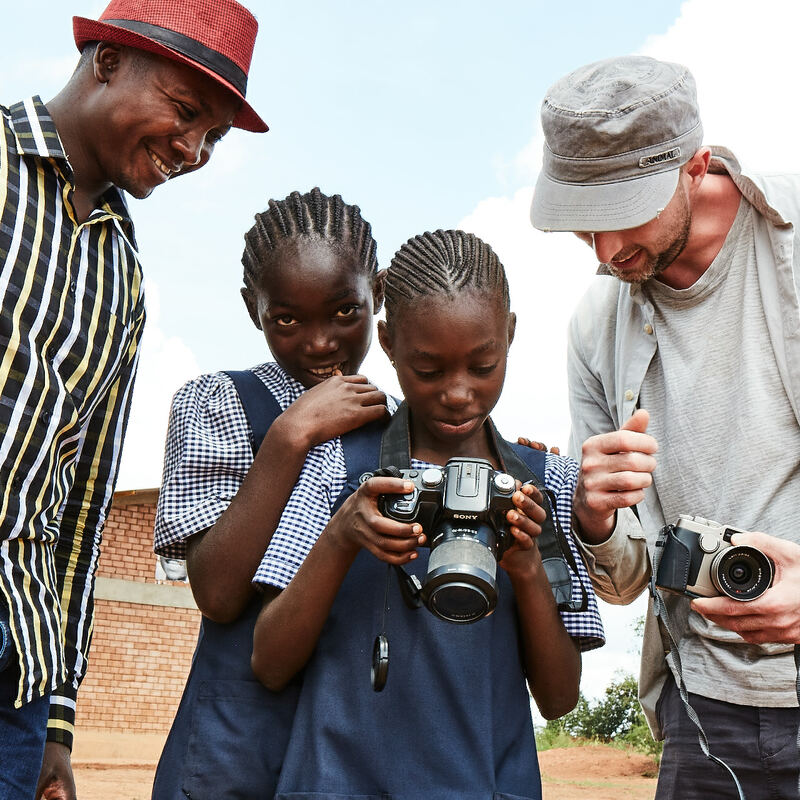 Although our primary focus is photography, we are open to anyone with a skill they would like to teach, we have had volunteers teach ballet and music alongside our photography lessons. So if you can’t quite find what you’re looking for, get in touch and let’s see if we can work together! Schools, colleges and universities looking for group trips are welcome to get in touch to create a personalised experience for your students. If you have any other questions you’d like answered then please don’t hesitate to get in touch.